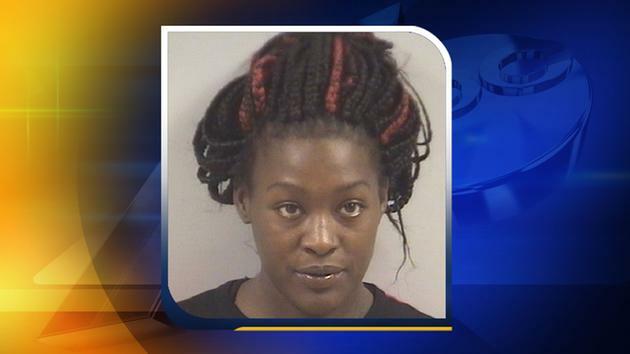 A Johnston County woman has been arrested on dog fighting and animal cruelty charges. The court documents revealed that four dogs were seized from Leach's home. One was euthanized on Jan. 21, 2015 and the second on Jan. 28, 2015 due to the severity of their injuries. One of the animals - a gray male pit bull - had untreated bite wounds to the face and a badly swollen head. The other - a black and white female pit bull - had a broken leg, bite wounds to the face and a badly swollen head. The two other neglected dogs - a white and black pit bull with an open wound to the neck and another white and black pit bull with an injured leg - survived and were later placed with animal rescue groups. According to a True Bill of Indictment, Leach instigated, promoted, conducted and allowed property under her control to be used "for exhibition featuring the fighting of a dog with another animal." I thought for sure she would have used Pomeranians for dog fighting. Aren't we all excited that fight bust pit bulls have been turned over to rescue groups? I wonder if their dogfighting history has been disclosed? Not just their dogfighting bloodlines, but their fight history. They're probably nanny dogs now. Thank you anti-BSL people, for making all of this possible! A woman in dogfighting??? Wow, I guess I'm super naive. We have a nutcase neighbor who said her pit was "too sweet" to fight. She full on admitted this dog had been bred and socialized for fighting BUUUUT it didn't make the cut. I really appreciate those rescue angels who made it possible for this POS to now live in our neighborhood full of little children and normal pets. Everyone on the street is on high alert because of 1 thoughtless pig and her pit bull!!! Why do we cater to bullies???!!! Why do we tell our children it's not safe to play outside instead of making pit bull owners feel as uncomfortable as they make us feel? Why do we wish to move away from the problem instead of demanding the problem move away from us? I really need to get prepared in every way for disaster! Oh Yes, the female enabler is prevalent in this problem. Don't ask me how I know, but believe me, I know first hand. One scenario is: "Momma has a real good job and pays all the bills and furnishes the house," while adult male children diddle with their pits sometimes all through the night and sleep all day. Momma pays the bail and keeps the courts busy and makes sure those pits get fed even when adult children are "gone a few months". In some ways it is a very matriarchial subculture.